Democrat Jon Ossoff leads Republican Karen Handel by seven points in the special election to fill an open U.S. House seat in Georgia, according to a new poll from local television station WXIA. 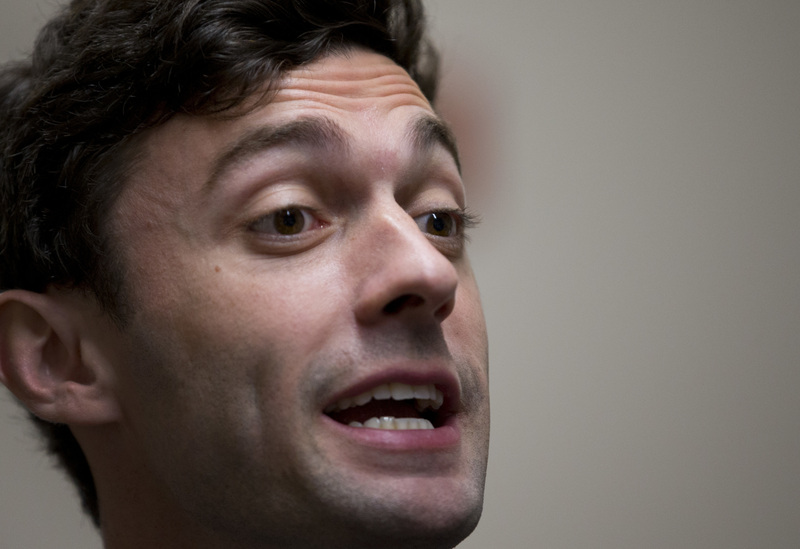 Ossoff earned 51 percent of voters’ support to Handel’s 44 percent support in the poll, which was released Monday and conducted by SurveyUSA. SurveyUSA’s previously polled the race in April, before the initial jungle primary that sent Ossoff and Handel, the top two finishers, into a runoff. In that poll, Ossoff had a significant lead over his numerous Republican opponents. Ossoff and Handel will face off in a June 20 runoff election in Georgia’s Sixth Congressional District. Democrats are hopeful they can channel anti-Trump fervor into a win for Ossoff, given that Trump won the ruby-red district by just one point in November. SurveyUSA polled 700 registered voters from May 16-20 by phone. The poll had a margin of error of plus or minus 4.3 percentage points.